Research and development tax credits are by far the most attractive form of corporation tax relief for SMEs. Despite the potential for lucrative financial benefit, statistics abound that R&D relief is hugely undersubscribed by UK SMEs. Definition of innovation Businesses may not be aware that their activities qualify as innovation for R&D purposes. Qualifying expenditure Identifying which costings qualify for research and development tax credits can be a complex process, and often leads to companies claiming for less than their full expenditure eligibility. Calculating the claim Correctly calculating the amount of relief using the relevant rate across relevant accounting periods is rarely straightforward. Making the claim To support the claim, comprehensive documentation will need to be compiled and submitted to HMRC. Against the backdrop of these challenges, we look at some of the questions we’re frequently asked by smaller businesses considering making a claim for research and development tax credits. Does my company qualify for research and development tax credits? To make a claim for research and development tax relief, your business would need to qualify under one of two R&D schemes. The first provides research and development tax relief for small and medium-sized enterprises. The second, Research & Development Expenditure Credit (RDEC), is aimed, generally speaking, at larger businesses. The rate of tax relief available to businesses that qualify for the SME scheme is significantly higher than under the RDEC scheme. The SME scheme allows a generous 230% of qualifying R&D related expenditure to be deducted from the company’s taxable profits for the relevant accounting period. Whereas under RDEC, 11% can be claimed for qualifying spend made after April 2016, or 12% for spend after 1 January 2018. Continuing the spirit of generosity, the definition of ‘SME’ for R&D purposes is also recognised as being notably broad – to allow more companies to fall within its purview. However, caution should be taken where a company is part of a broader group of companies. In this instance, the business would have to take account of the other companies when ascertaining eligibility for the SME scheme. Where the SME criteria are not met, the business may still be eligible for relief under RDEC. Take professional advice to ensure you are proceeding on the correct basis. Does your work qualify as R&D? Be undertaking qualifying R&D activities. Have expended on these R&D activities. For the purposes of the scheme, R&D is a project which seeks to achieve an advance in overall knowledge or capability in a field of science or technology through the resolution of scientific or technological uncertainty. Innovation can apply to any sector where technical innovation and progress can be shown. This could involve development of anything from software through to business processes. The burden is on your company to evidence ‘innovation’. However, the rules do not require you to evidence you have been successful in your R&D or to divulge how you are carrying out your activity. What is sought is the attempt at innovation against technical uncertainty. Innovation of course means different things to different sectors. There is no bright-line test as to what innovation is. Experience of the R&D tax credit scheme and what is likely to be accepted as innovation will be invaluable when assessing your eligibility under the scheme. It becomes a matter of understanding HMRC’s stance on what is classed as ‘innovation’, and effectively documenting and presenting evidence to support your claim. You can claim research and development tax credits on R&D revenue expenditure, i.e. the day-to-day operational costs directly relating to the innovation project. It’s worth noting that generally speaking, you cannot include capital expenditure within the R&D tax credit claim. This is where you can take affirmative steps to maximise the value of your claim. An experienced R&D relief specialist would carry out a thorough review and itemisation of all R&D related spend to identify the full extent of eligible expenditure. 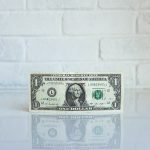 Qualifying SMEs are permitted to claim for ‘unconnected’ subcontractor costs, at a rate of 65%. The rules governing so-called ‘connected’ contractors are more complex, and you are advised to seek professional advice on the nature of the contractor’s expenditure and wider circumstances. Qualifying SMEs can claim tax relief of 230% on eligible R&D spend. For every £100 spend on qualifying costs, you can deduct an additional £130 when calculating profits for corporation tax. Profit-making – Deduct 230% of eligible R&D expenditure from taxable profits in the relevant accounting period. Loss-making – Make a claim for payable credit. Do grants and subsidies affect eligibility? Where your company has received a grant, whether you can then claim research and development tax credits under the SME will depend on a number of factors. For example, your business may still be eligible to claim R&D tax credits under the SME scheme if it has received state aid for self-funded qualifying expenditure – i.e. not for qualifying expenditure that is being covered by the grant. Where a grant or subsidy precludes your company from the SME scheme, you may still be eligible for RDEC. It is not possible to pay back state aid in order to claim SME R&D tax credits instead. Given the many conditions that apply in this area, professional advice is recommended to ensure you are proceeding on the correct basis. How you make an R&D claim will largely be dictated by timing. You can make a claim up to two years after the end of the relevant accounting period. After this point – you won’t be able to make a claim for R&D relief. It is possible therefore to make an historic claim based on past qualifying expenditure by amending and resubmitting your tax return. A successful claim should result in a cash payment to your business. You can also make an in-year claim or by providing the required information along with your original tax return. Relief is given in the form of a reduced tax bill, as opposed to a cash payment, assuming you are profit-making. What information will need to be provided? Submitting an R&D claim is something you can potentially do each year, provided you qualify. Your claim will need to be evidenced by a detailed technical report, presenting the supporting information and demonstrating that all qualifying criteria have been met. The technical report and itemised qualifying expenditure should be submitted with your tax return to HMRC. Information to include in the report will vary depending on the type of project and innovation concerned, but generally, you would be looking to cover all areas you are claiming relief for. The report should go beyond an itemised breakdown of costs. You need to explain how the project meets the requirements to be classified as R&D under the scheme. Failure to provide a thorough and compelling report may result in a failed claim. Do you have a question about research and development tax credits for SMEs? ETC can help! 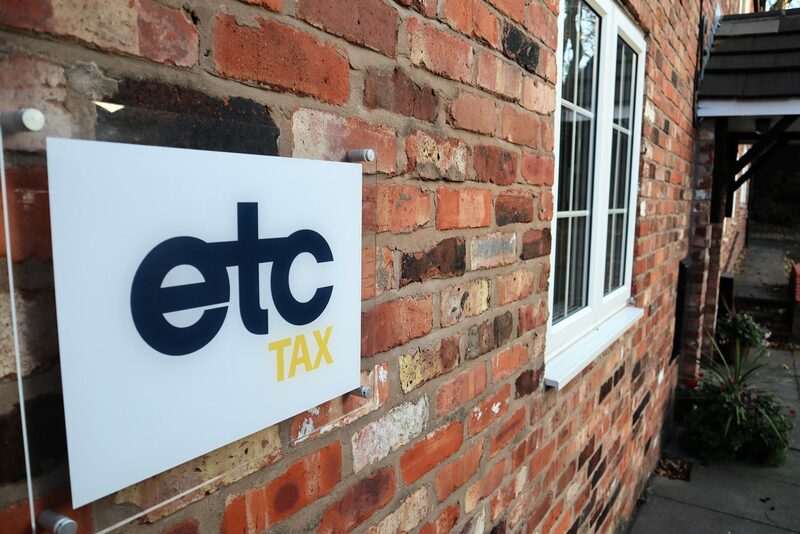 Enterprise Tax Consultants are a team of chartered tax advisers with specialist experience in claims for research and development tax relief. Provided your company has self-funded expenditure in R&D (with some exceptions), and provided you meet the various qualifying criteria, your company could claim a significant reduction in its tax bill, whether you are profit or loss making. We advise companies from a broad range of sectors. We support from the initial assessment of eligibility through to guidance with drafting the technical support and the timing of making the claim. We also provide advice on how your business can prepare for future R&D claims, through for example effective record keeping. If you have a question about research and development relief for SMEs or for a free consultation on your company’s eligibility, please contact us. Contact our chartered tax advisers today for an initial free no-obligation discussion to consider whether you have been undertaking qualifying R&D activity and can take the opportunity to work with us to secure valuable R&D tax relief. Does your Company Qualify for R&D Tax Credits?